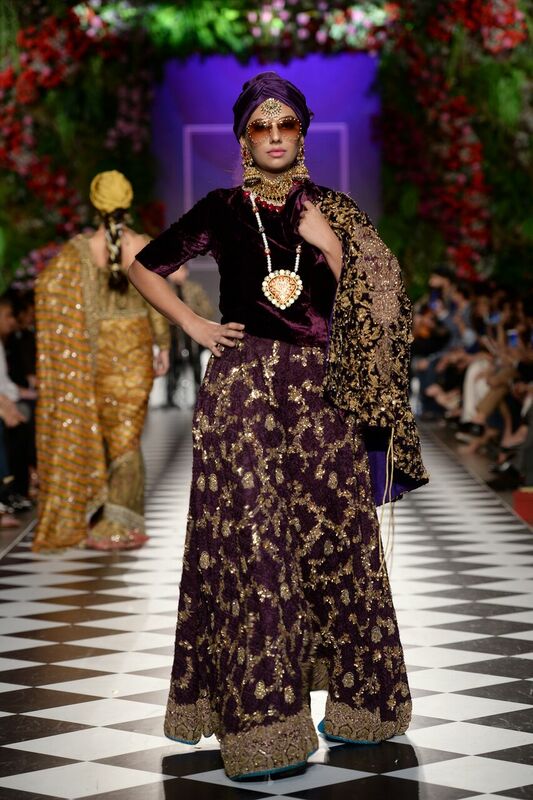 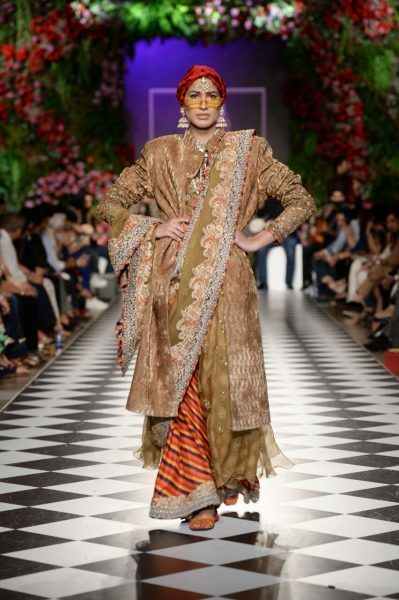 Pakistan’s iconic couturier HSY staged the powerful grand finale of the 8th edition of PFDC L’Oréal Paris Bridal Week 2018 with the brand’s new A/W Bridal couture collection titled “Zmarei” or ‘lioness’ in Pashto. With ‘Zmarei’, HSY paid tribute to the powerful, modern woman of today; the new, the fearless and dynamic generation of strong women. 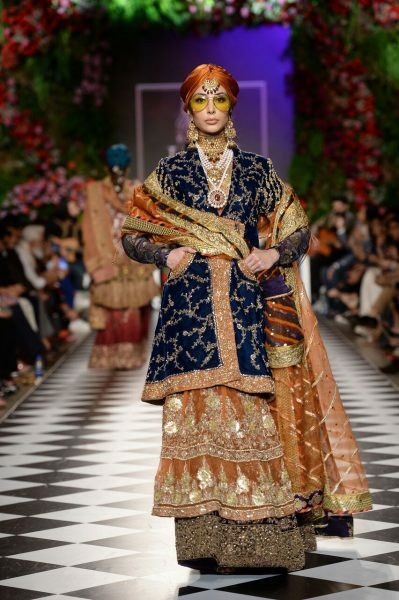 The collection also celebrated the beauty of diversity in all women. 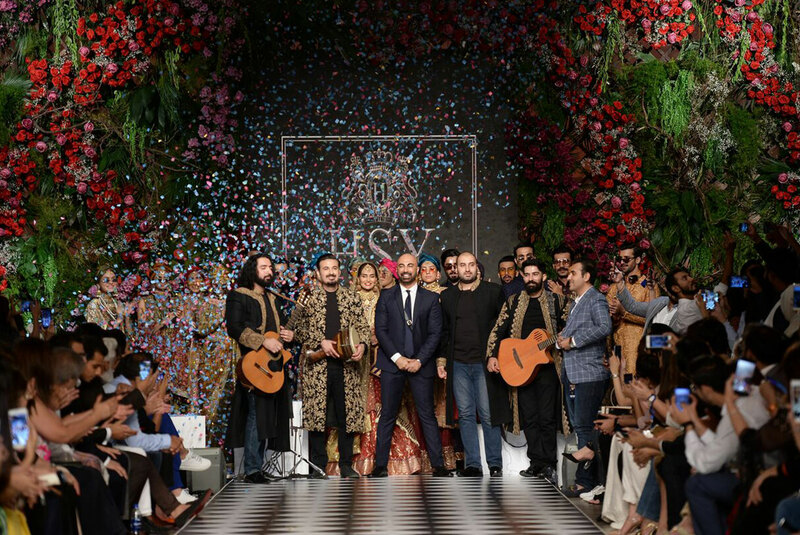 For ‘Zmarei’ and under the aegis of the HSY Mentorship Programme (HMP) HSY collaborated with 35 young creative professionals across universities, colleges and those freelancing with each person assessed and mentored by Hassan Sheheryar Yasin. 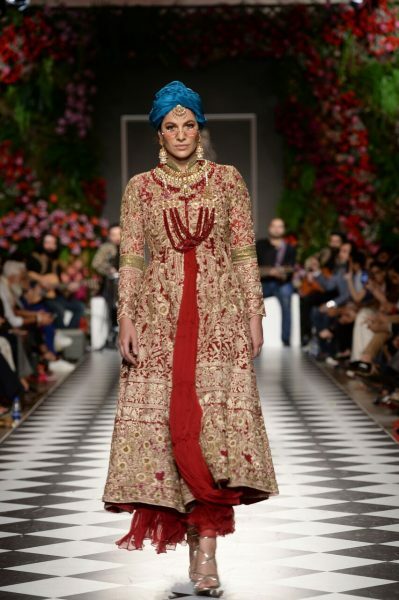 These individuals come from varied background, embracing what the collection itself stands for: the beauty in diversity. 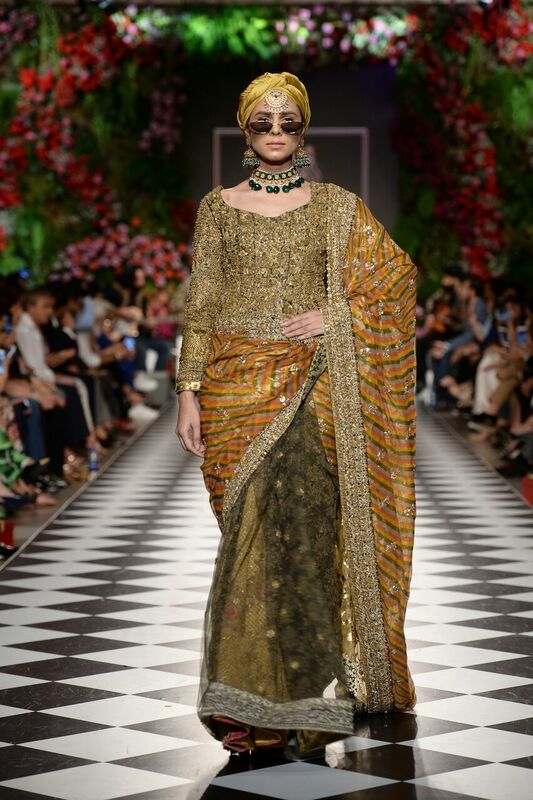 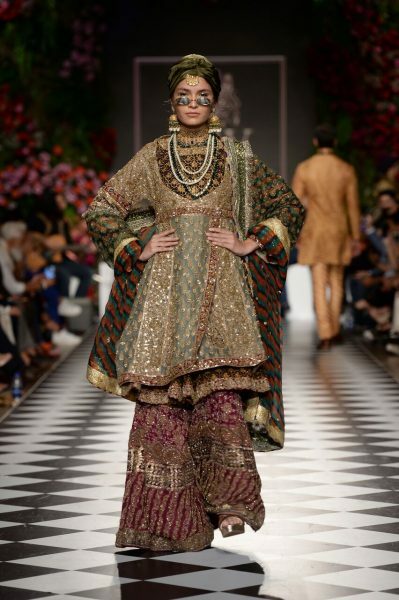 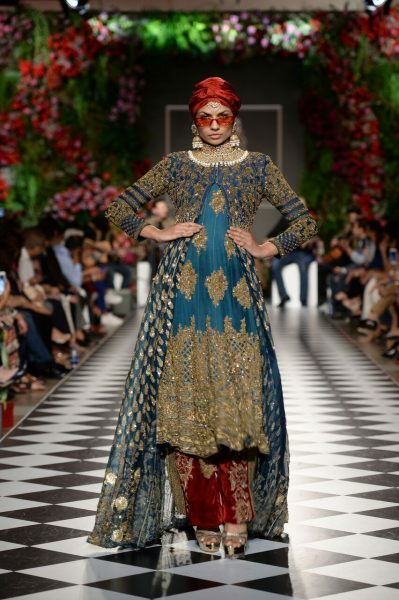 A collection based in making bridal couture more accessible and affordable, the ‘Zmarei’ collection channeled swirling hemlines, gold edgings, delicate paisley motifs with detailed design. 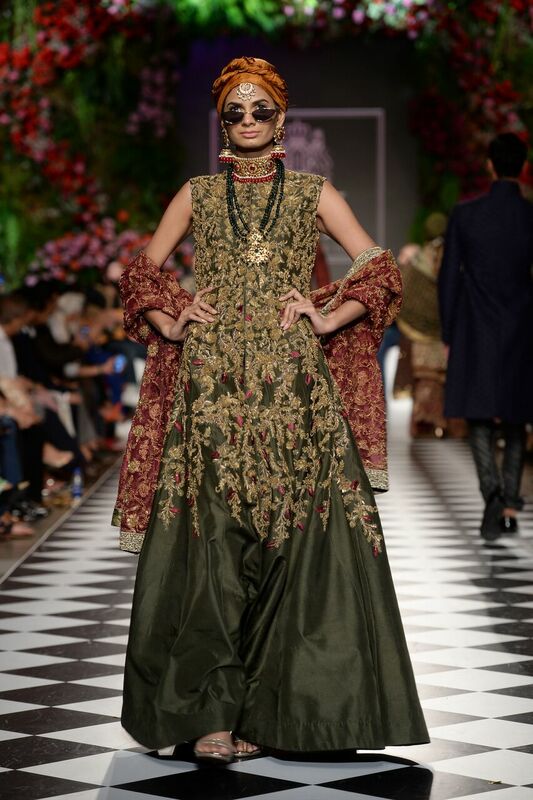 It projects silhouettes of flowing organza, draped watercolor silks, structured raw silk and rich velvet textures. 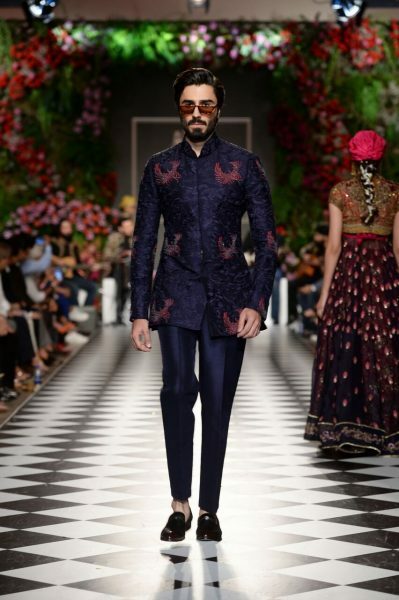 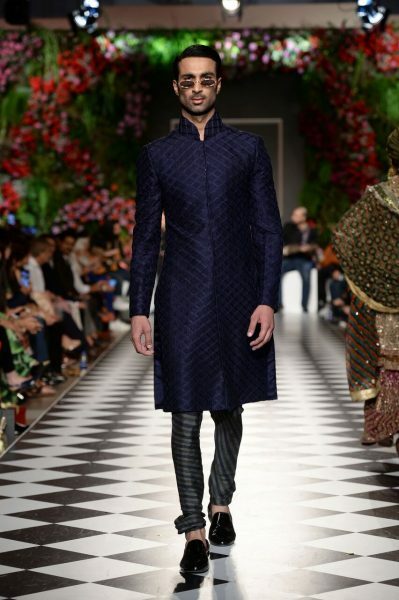 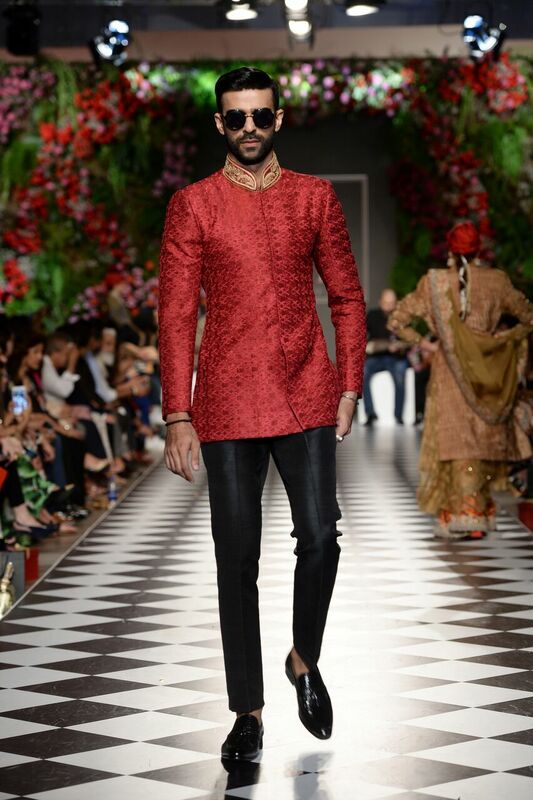 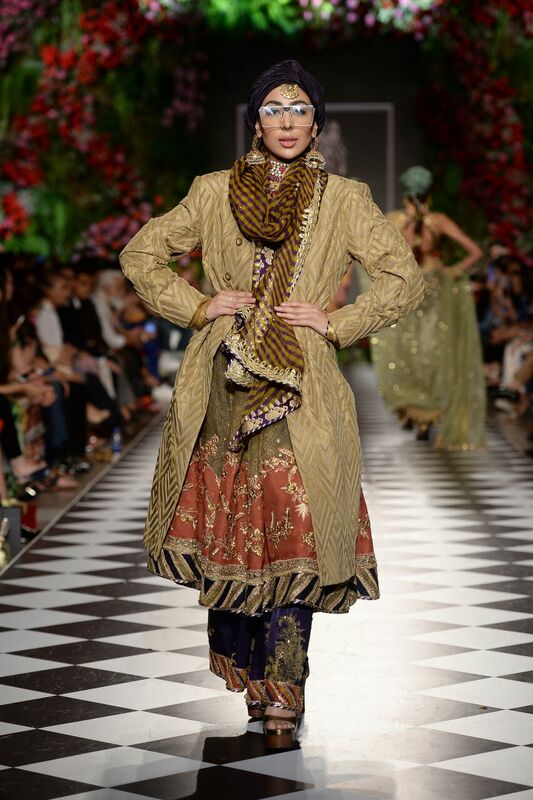 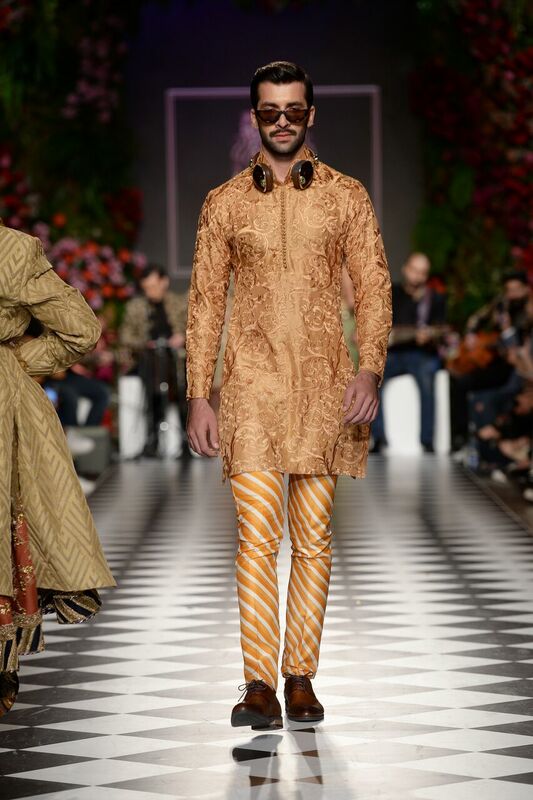 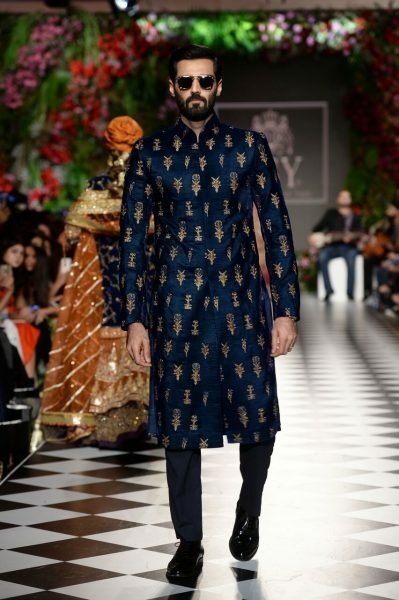 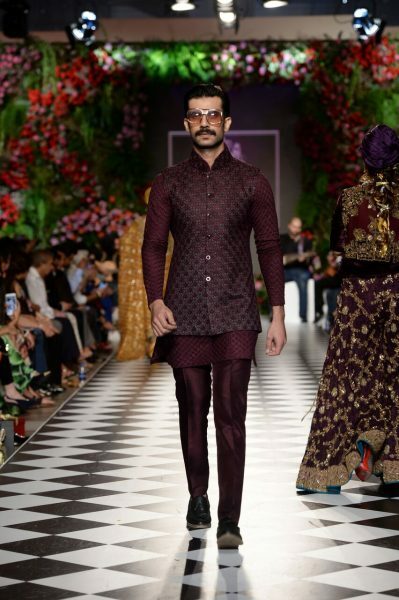 All motifs and accessories for the collection were all made in Pakistan by Team HSY using local materials and artisans. Indie-folk band Khumariyaan performed live during the bridal ramp showcase. 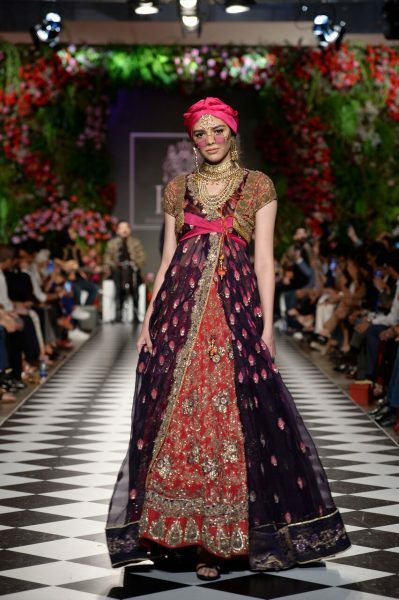 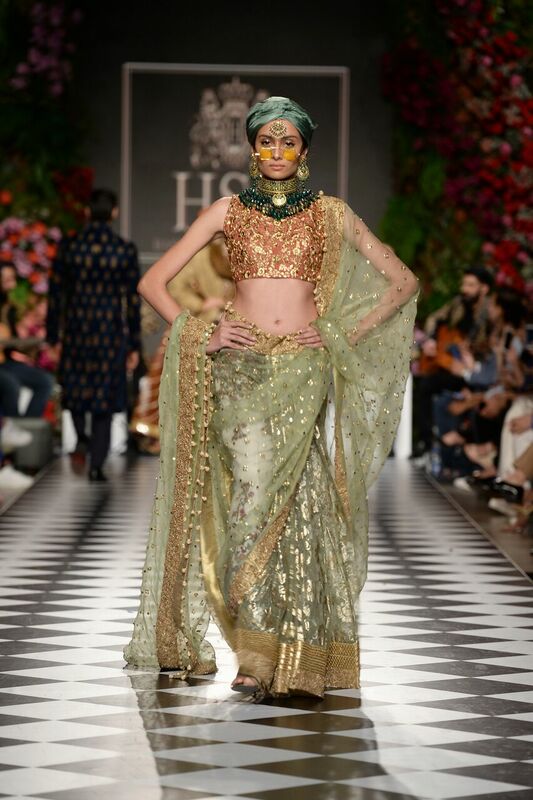 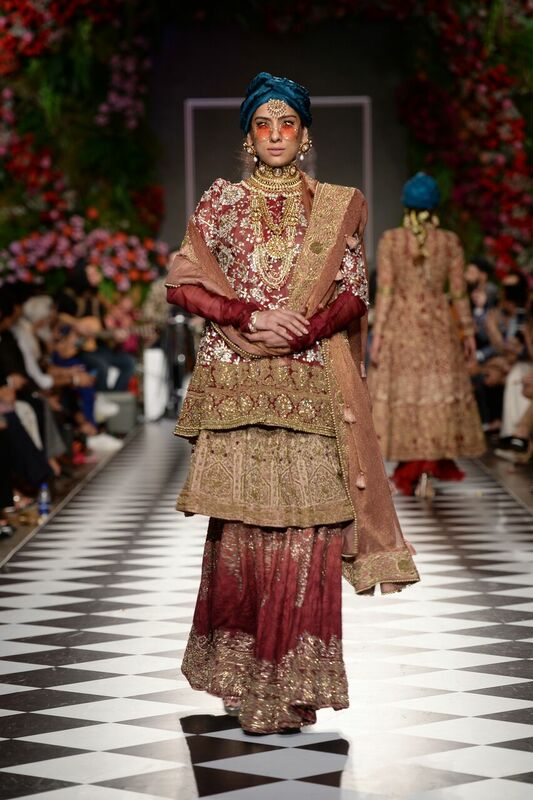 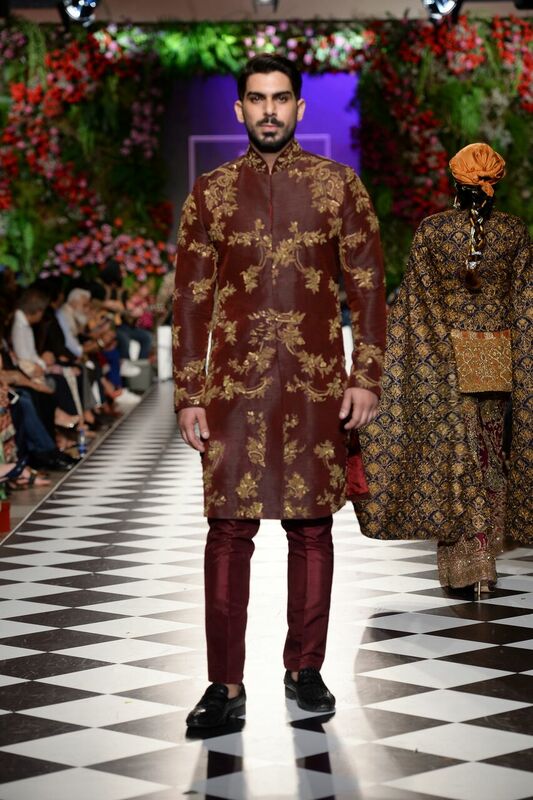 HSY used bold and impactful colour in his bridal collection drawing inspiration from the traditional subcontinental wedding colours. 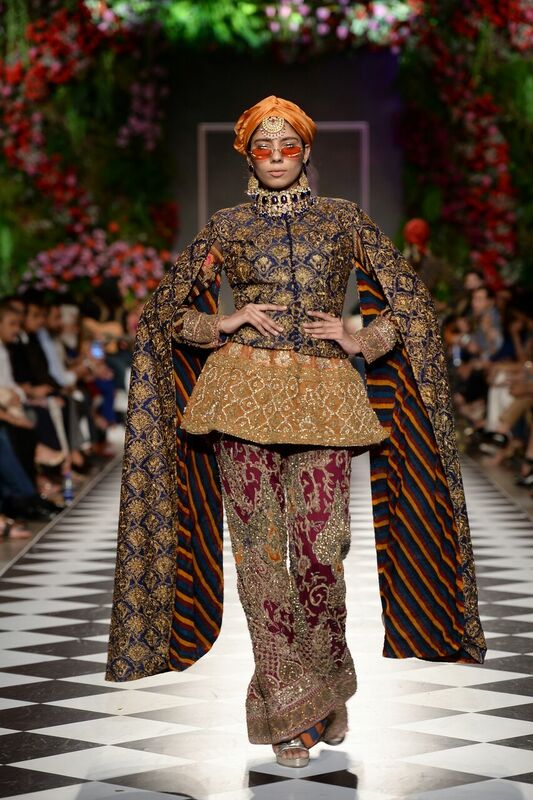 The collection featured an array of complementary turbans and retro sunglasses juxtaposing the decorative ensembles. 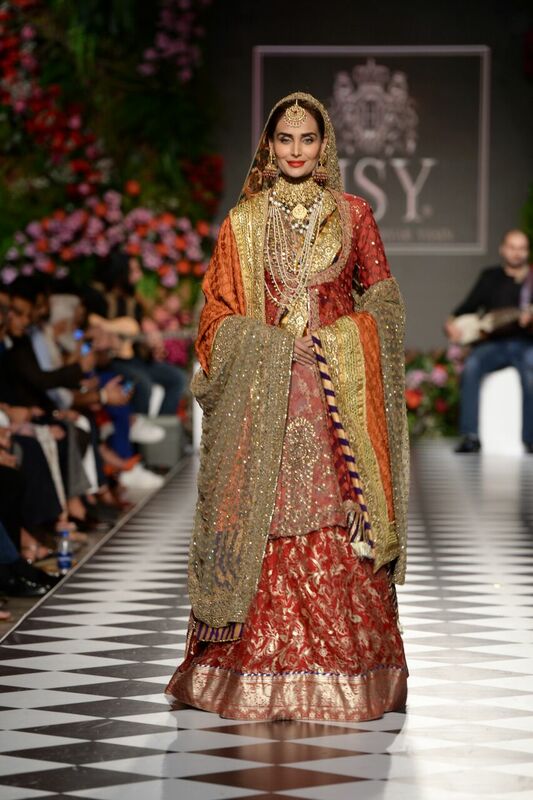 The beautiful Mehreen Syed donned a traditional farshi ghara in a classic red shade as the show stopper for HSY.